It has been a busy and successful week here at Academy Driver Training. 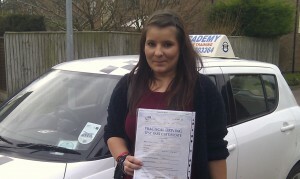 Rachel Young of Pocklington York passed her practical Driving Test in York today. If you are looking for Driving Lessons in York or the local area .